"I have had the pleasure of working with Kaitlin for nearly 2 years. In that time, I've come to know her as a committed, knowledgeable, and attentive coach. She is committed to understanding my running goals, and to designing a detailed and specifically tailored plan to help me reach those goals. I have the highest praise for Kaitlin. I am grateful for the opportunity to be coached by her - I have learned a great deal about myself as a runner and what I am capable of since working with her." "Being a novice runner, I truly was interested in finding the "joy" in running. Kaitlin was beyond accommodating and understanding of my experience level. She changed up the routine often to make it fun, yet challenging. Having one-on-one meetings with Kaitlin was extremely beneficial because I truly felt her joy when we spoke and it rubbed off on me and my own training path." 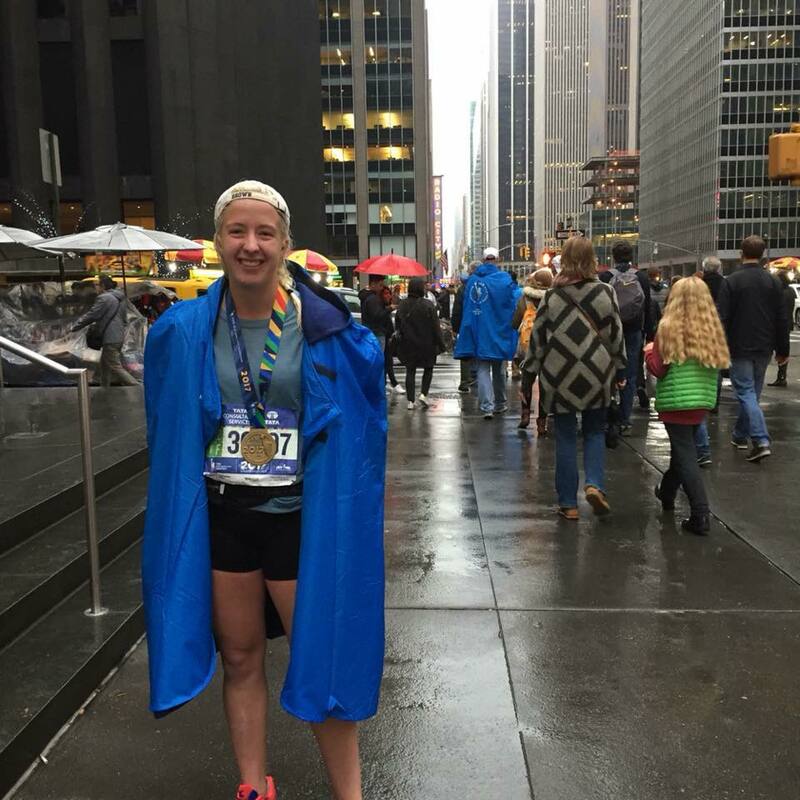 "I hired Kaitlin as my running coach and decided on a fall marathon. I absolutely loved following her plan, checking off each workout every day and watching the miles pile up. 18 weeks went by in the blink of an eye and suddenly I found myself with an 8 minute PR and my first official BQ! If you're looking to kick off any new training cycle & are wanting a fresh start, I highly recommend trying a coach for the first time. I've loved working with Kaitlin and I really found the meaning of running joyfully these past four months." "I am so glad that I was able to work with coach Kaitlin this past spring. I had not trained for a race seriously in years, and had been finding it difficult to stick to a regular running schedule or to push myself in training. Kaitlin got me back on track with setting goals, running regularly, and challenging myself. I finally felt motivated to train and had fun running again! My favorite part about Kaitlin's approach is that she started where my fitness level was, not where I wanted it to be, and the fitness plan was individually tailored to my needs and strengths. She is incredibly knowledgeable about running and training, and she is infectiously positive and joyful, making her a terrific coach." "The coaching has been awesome for me. I’ve started running and quit within a month 3 or 4 times in the last few years, and the coaching is all the difference. It keeps me motivated and interested. The accountability is a big factor too. I couldn’t be happier with how it’s gone so far."